In an interview, US Rep. Edward Markey said he would “seriously consider’’ supporting a proposal by Spectra Energy Corp. of Houston to expand the Algonquin Gas Transmission pipeline that delivers natural gas to New England. Following the bombing of a natural gas pipeline in Yemen that disrupted fuel shipments to Boston, US Representative Edward J. Markey Tuesday called for increased investments in domestic pipelines - which could boost recent efforts to expand a natural gas pipeline that serves New England. In a three-page letter to federal energy Secretary Steven Chu, Markey questioned whether the region should import liquefied natural gas from Yemen when domestic gas production is booming because of drilling in shale formations across the country, including in Pennsylvania. “These natural gas supply problems highlight the importance of developing the domestic infrastructure that would allow all Americans to benefit from the low-price, abundant, and secure supplies of natural gas now being produced in the United States,’’ wrote Markey, a Malden Democrat and ranking member of the House Natural Resources Committee. 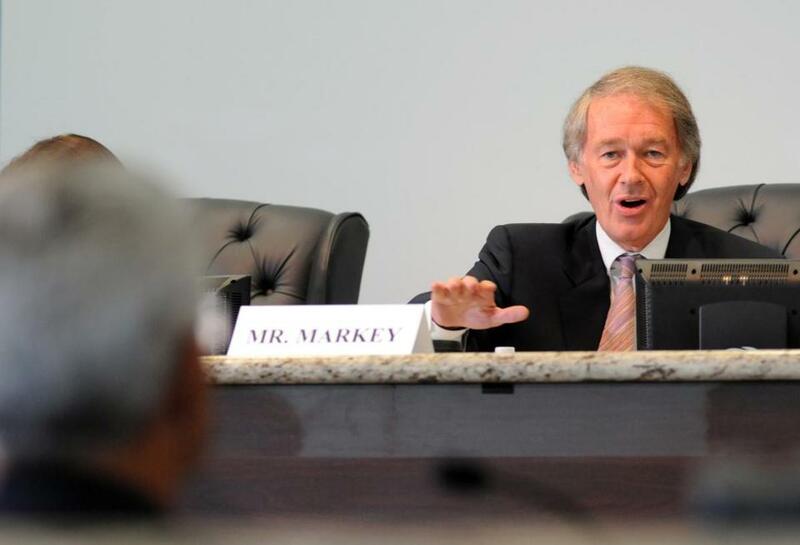 In an interview, Markey said he would “seriously consider’’ supporting a proposal by Spectra Energy Corp. of Houston to expand the Algonquin Gas Transmission pipeline that delivers natural gas to New England. 4/25: Enlarged natural gas pipeline proposed for N.E. A Houston company has begun exploring the expansion of a regional pipeline to bring abundant supplies of natural gas to the region. Spectra has said it wants to expand the capacity of the Algonquin pipeline in Southern New England by about 15 percent, and estimated the cheaper supplies from Northeast gas fields would help save gas and electric customers up to $651 million a year. Richard Kruse, a Spectra vice president, said Tuesday the company was prepared to move forward with the project, depending on market conditions. “As demand in the region continues to grow, additional natural gas pipeline infrastructure - connecting consumers to diverse supply sources - will be needed,’’ he said. Last week, federal, state, and regional energy officials began making contingency plans after pipeline bombings in Yemen stopped two tankers of liquefied natural gas from shipping to a terminal in Everett. The loss of that supply could cause fuel shortages for electric power plants in Greater Boston this summer, especially if a heat wave increases power demand or a local plant has an unexpected outage. Nearly half the electricity in New England is generated by natural gas-fired plants. Almost 60 percent of Massachusetts’ electricity is produced by gas plants.